1843-O Liberty Head Eagle. Winter-4. EF-45 (PCGS). CAC. 1844-O Liberty Head Eagle. Winter-1. Misplaced Date, Repunched Mintmark. VF-35 (PCGS). CAC. 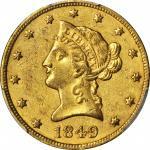 1845-O Liberty Head Eagle. Winter-1. Repunched Date. AU Details--Scratch (PCGS). 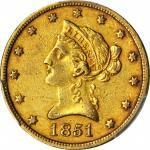 1846/5-O Liberty Head Eagle. Winter-3. EF-40 (PCGS). CAC. 1847 Liberty Head Eagle. AU-55 (PCGS). 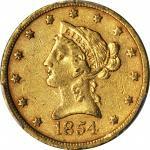 1847-O Liberty Head Eagle. Winter-2. Repunched Date. VF-35 (PCGS). CAC. 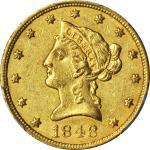 1848 Liberty Head Eagle. AU-53 (PCGS). 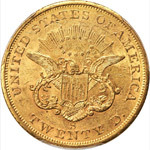 1849 Liberty Head Eagle. AU-50 (PCGS). 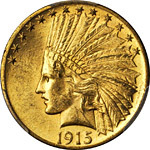 1849 Liberty Head Eagle. Breen-6888. Repunched Date. AU-50 (PCGS). CAC. 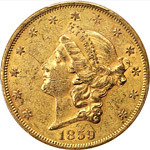 1850 Liberty Head Eagle. Large Date. AU Details--Tooled (PCGS). 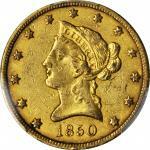 1850 Liberty Head Eagle. Small Date. EF-45 (PCGS). CAC. 1851 Liberty Head Eagle. AU-55 (PCGS). 1851-O Liberty Head Eagle. Winter-1. EF-45 (PCGS). CAC. 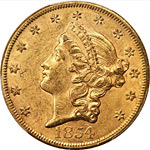 1852 Liberty Head Eagle. AU-53 (PCGS). CAC. 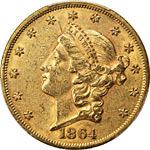 1853 Liberty Head Eagle. MS-61 (PCGS). 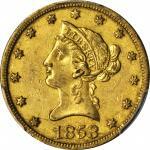 1853/2 Liberty Head Eagle. Breen-6905. AU-55 (PCGS). CAC. 1853-O Liberty Head Eagle. Winter-5. EF-45 (PCGS). CAC. 1854-S Liberty Head Eagle. EF-45 (PCGS). CAC. 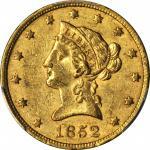 1855 Liberty Head Eagle. AU-53 (PCGS). CAC. 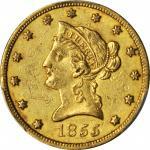 1856-S Liberty Head Eagle. EF Details--Cleaned (PCGS).